Offer your own retreats and workshops in the Indian Himalayas! This ideally situated centre is the perfect place for spiritual retreats and workshops. 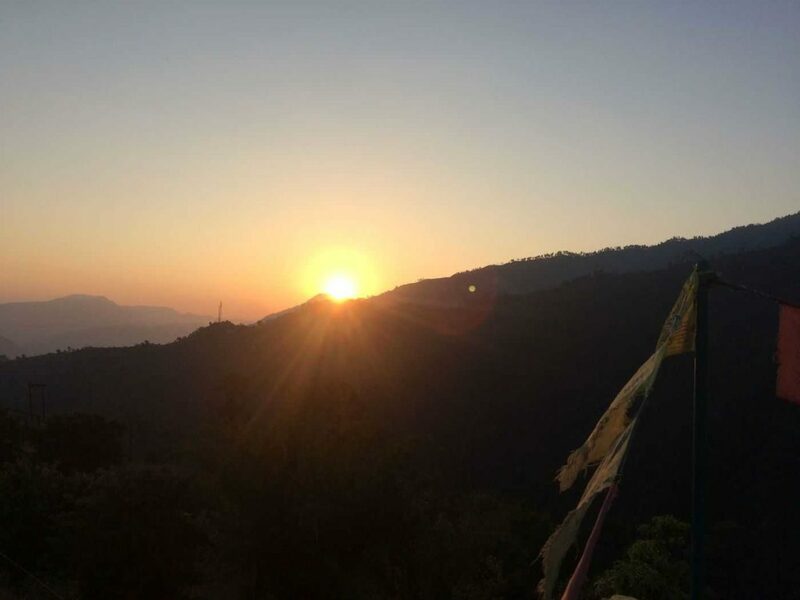 We offer an all inclusive package so that you can easily host your own yoga workshops, meditation or guided silent retreats, coaching or self discovery courses in the Indian Himalayas. 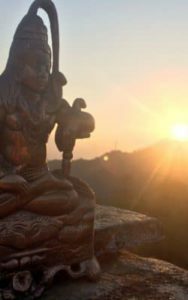 The combination of beautiful nature, stillness, many nearby sacred sites that have been blessed by visiting yogis throughout the ages, together with delicious Indian food and views to the high Himalayas, makes this an ideal and authentic location for retreat, deep meditation and the practice of yoga. For your retreat we will take care of all the details: we look after all meals, transport and transfers, as well as organising any day trips or surrounding activities that you would like to include in your programme. All you need to do is arrive with your group in Delhi, enjoy hosting your workshop, and we will look after the rest. The retreat centre lies atop a hill at an altitude of about 1 800 meters. 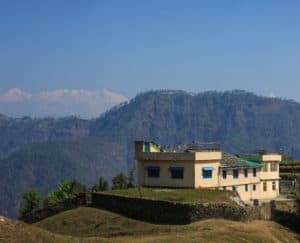 It has panoramic views to some of the highest peaks of the Himalayas, one can see as far as the 7000 meter plus peaks of Nepal and India’s majestic Nanda Devi. It is a breathtaking view. The centre is wonderfully secluded, allowing the stillness of the Himalayas to be truly present. It lies about 30 minutes away from the nearest road, but by jeep it is easily accessible. 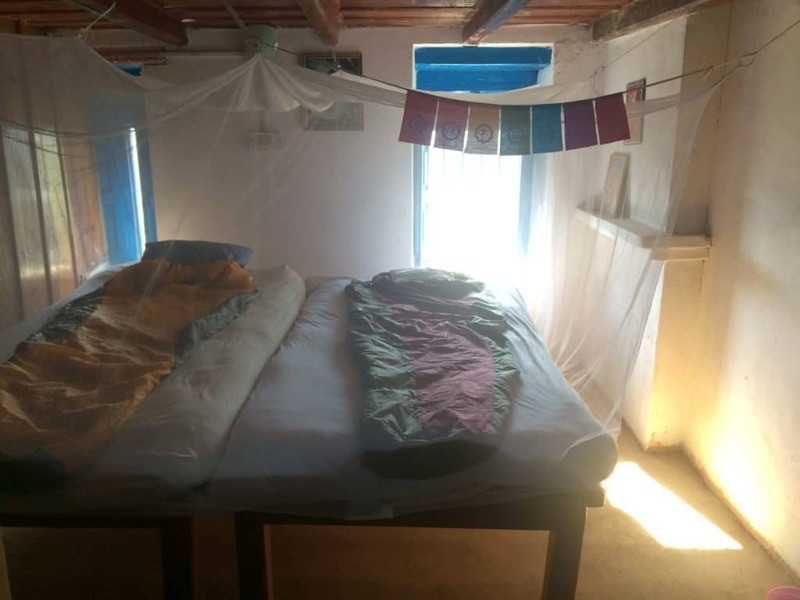 The retreat centre can easily accommodate up to twenty participants, we have comfortable rooms, western toilets, clean drinking water, delicious local cooking and a good Indian guide who is happy to share his knowledge of the region with you. We have organised everything in such a way that all you need to do is fly with your group to India and then lead your retreat. You will be picked up from the Airport and taken to the retreat house, all meals will be prepared for you and, according to what you would like to include in your programme, different activities can be organised for your group. 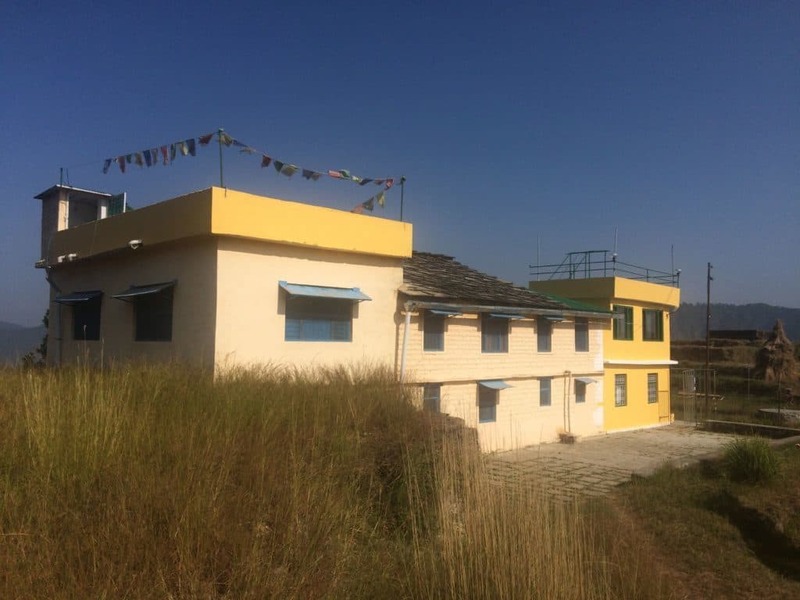 In early 2000, through a chain of rather mysterious events, Lothar, who has a yoga studio in Paderborn, Germany, was asked if he would like to buy the property and house that has now been transformed into the Himalaya Retreat Centre. From his very first visit, he felt the special energy of the place. Over time, and with much care and investment, Lothar has built up this dream project and enjoyed bringing over 25 of his own groups to the centre. Due to a lack of time, the project could not be taken further, but now Lothar has teamed up with a reliable partner, Narada from Purnam, and the Himalaya Retreat Centre has become available for others who would like to host workshops or retreats in this magical setting. After arriving in Delhi you can take a comfortable train, the journey lasts about six hours, to „Haldwani – Kathgodam“. From there it takes about another four hours by taxi or mini-bus, and then a short trip by jeep, to reach the Himalaya retreat centre. 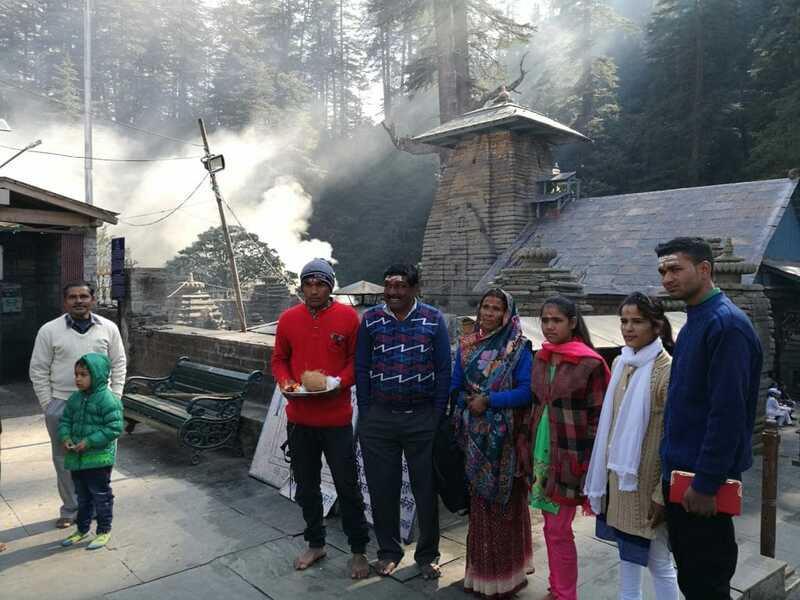 A second possibility is to be driven from Delhi to Haridwar or Rishikech, enjoy acclimatizing there for a while, and only then take the train to the Kumaon Mountains. In our price per person, the organising and booking of the connecting train tickets, the airport or railway pick ups from the various points as well as the transfers with taxi, mini-bus or jeep are all included. The climate in this region of the Himalayas is quite mild the whole year round and well suited to holding retreats. There are seasonal fluctuations, but even during the monsoon, there are only two to three hours of rain per day. The best periods is from March until October, from November until February the weather can get a bit cold. The nearest little town is Almora, a „Hillstation“ which the British colonials would retire to during monsoon season. So, even during the monsoon, the weather in this area is quite pleasant. Beneath is the link to Meteoblue, here one can get a good overview of the yearly weather around the centre. In July/August it is the monsoon and there is on and off some rain. The monsoon rain in this part of the Himalayas cannot be compared to the monsoon in many other parts of the Indian sub-continent, here the sun still comes out and it rains only intermittently. In December/January it the winter period. At night the weather can get quite chilly and during the day it is mild to cool. At times there can also be snow, but mostly during the day one can a still be in a t-shirt or light jumper. The yoga hall is designed for up to twenty people. Directly opposite the yoga hall is a rooftop terrace that is about the same size as the yoga hall itself. Until 9 o’clock in the morning and again in the late afternoon the roof terrace is good for yoga practice and other activities. Above the dining room there is also a second roof terrace. The yoga hall is equipped with yoga mats, cushions, yoga blankets a blackboard and, if you would like, a Harmonium. The toilets in the centre are all western style toilets. 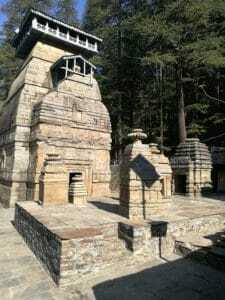 The Indian state, Uttrakhand, consists of two regions, Garhwal and Kumaon. 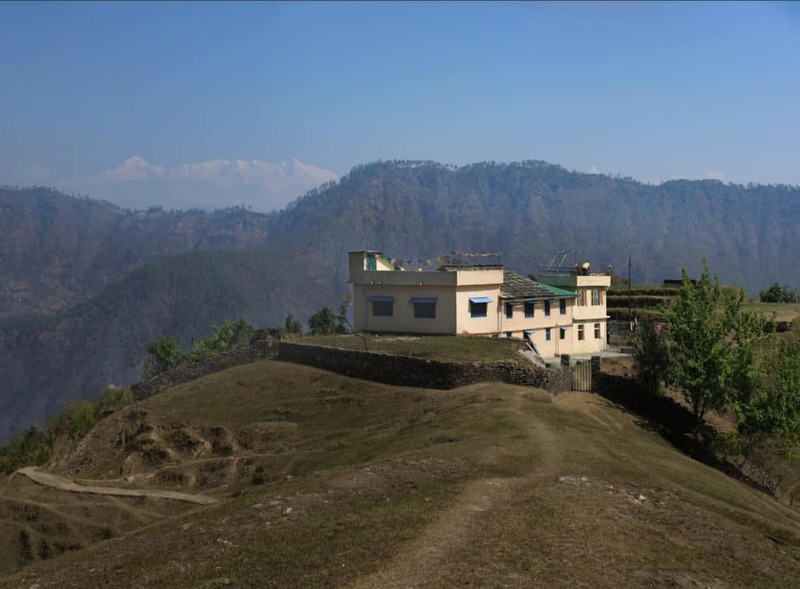 Kumaon is bordered on the north by Tibet, and to the east by Nepal, it therefore has strong cultural links to both. The name is derived from “Kurma”, an incarnation of the god Vishnu. Over 30 mountains of the region are higher than 5 500 meters and it contains a number of large rivers that stream from the high Tibetan plateau and make their way towards the river Ganges. India’s second highest mountain, Nanda Devi (7816m) reigns over the region, this holy mountain is considered to be a form of Parvati, Shiva’s consort. Many great yogis have honored and blessed this region through their presence: Mahavatar Babaji, Haidakhan Babaji, Neem Karoli Baba, Swami Vivekananda, Anandamayi Ma, Swami Rama and many more. 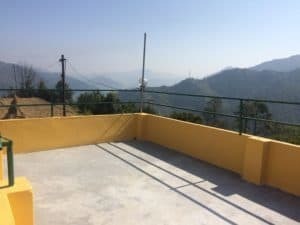 Around the house there is the possibility of doing some beautiful walks, constantly accompanied by the panoramic view to the Himalayas. There is also the option of doing some day trips, but these can be a bit difficult due to the bad roads in the Himalayan region. We do not recommend the retreat centre as a travel base for many excursions into the region, but rather one where a trip to the surrounding sites is made once or twice a week. For the house rental: You book the house for the dates you require directly with us. You will receive an invoice for the amount to be payed and will have to pay a deposit with us in Germany. Flat rate for your stay: At the beginning of the trip, you will have to pay directly in India the agreed flat rate per person. This will cover all meals, housekeeping, transfers from Delhi (optionally from Haridwar or Rishikesh) to the seminar house and back, as well as fees for the Indian travel guide. The only thing you need to take care of is getting your travel group together, your transport to India and then guiding your workshop or retreat. At the time of booking a deposit of 30 % of the rental fees needs to be payed to us in Germany. The outstanding 70% is due a hundred days before the planned date of your trip. You will receive a receipt and a rental contact for the Himalaya Retreat Centre. The fixed rate for all meals, housekeeping, airport transfers, transport to and from the centre and guided tours need to be payed on the first day of arrival in India. A guarantee of 1000 Euro needs to be payed 100 days before your trip, this will be transferred back to you as soon as your trip is completed. If you cannot carry out your planned trip, please let us know 100 days before your travel date and there will be no additional costs. We do however retain the 30% deposit as processing fees and for having blocked reservation dates. From July to August and December to January, monsoon and winter period, there is a 20% reduction on the rental price of the retreat centre. Together, for the local costs, a minimum of 750 Euro must be payed. Important: Day one starts on 6 O’Clock in the morning in Delhi, thats because the perfect train leaves to Kathgodam then. Please make sure that the group is complete at that time. I wanted, we can organize a hotel on the night before for 20€ each person. If you would like to have a local tour guide, Dipu, who has worked with the centre for many years, can accompany you. 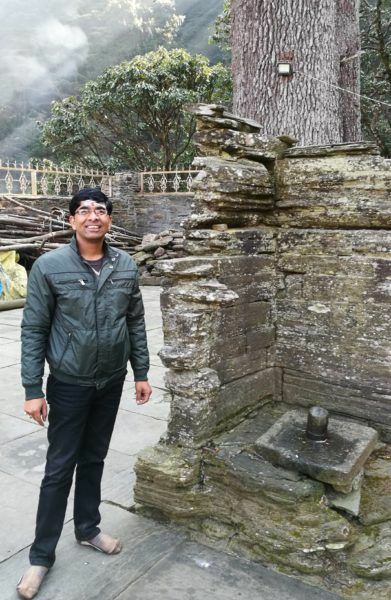 He charges 2000 Indian Rupees (about 25 Euro) per day and besides organising day trips for you, he can also organise larger trips that you could do either before or after your stay at the Himalaya Retreat Centre. For example, he can organise trips to Varanasi, Rishikech or Nepal that could be linked to your trip to the centre. Also possible: Have your tour guided by a tough, India experienced yoga teacher. Simply ask!